Attractive elegance of this Wine, despite of a power which still remains a triﬂe ostentatious. The Cuvée will beneﬁt from the élevage… Longer than usual élevage - the Wine deserves it - so as to gain even more ﬁnesse. Limestone-clay slopes and blue clay. 12 months in one vintage old barrels. Allier and Tronçais. Then 6 months in foudre. "Plum and blackberry preserve flavors glide through, inlaid with cocoa and melted black licorice notes. A light graphite edge keeps this honest." 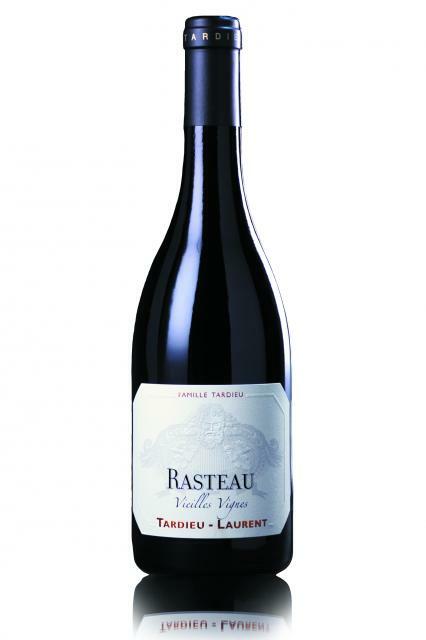 "The full-bodied 2016 Rasteau Vieilles Vignes is plush and ripe, its red and blue fruits dressed up with notes of baking spices. It's a blend of 65% Grenache, 25% Syrah and 10% Mourvèdre, but it comes across as slightly generic." "Brambly, dark and fresh fruit here with some spiced chocolate also in the mix. The palate delivers a wealth of plush, sweet-fruit flavor. Rich and fluid. Lots to like here. Drink or hold"
"Bright crimson. Hedonistic, heady, super-ripe nose with great lift and juicy refreshment on the finish. Masses of black fruit flavours overlay some very fine tannins. There’s something (agreeably) medicinal about this. And you could almost drink it straightaway. Although it clearly has a long life ahead of it." "The 2016 Rasteau Vieilles Vignes was one of my favorites in the lineup and this beauty has everything you could want from this appellation. Chocolate, black fruits, espresso and graphite aromas give way to a ripe, building, concentrated 2016 that has fabulous purity. It has plenty of tannins as well, but they’re mostly covered by loads of fruit at the moment. Give bottles 2-3 years and enjoy through 2026.